Author and “sit down comedian” Christopher Locke is back with his second novel, Vincent and the Dissidents. It’s the sequel to Persimmon Takes On Humanity, which of course we talked about before. 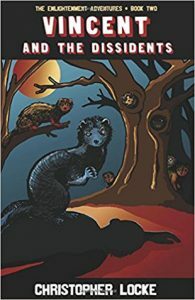 “In Book Two, while Persimmon and The Enlighteners continue their daring efforts to rescue all animals who are suffering, little do they know that Vincent — the cunning mink who helped the team liberate a fur farm — has been assembling an army. Vincent and The Dissidents are conducting their own rescue missions, but their violent tactics against humans are quickly leading to catastrophic consequences.” Vincent is available now in paperback from Fathoming Press. Looks like you just can’t keep a good raccoon down. After word came down that the Sly Cooper animated feature was not to be (many presume due to the less-than-stellar box office performance of Ratchet & Clank last year), now Animation World Network has informed us that an animated Sly Cooper series is in the works. “Paris-based Technicolor Animation Productions and Sony Interactive Entertainment (SIE) have joined forces to produce a computer generated, animated Sly Cooper series to audiences around the world… The series is based on the best-selling PlayStation video game series introduced to the market in 2002, which has sold millions of copies globally and spanned four editions across generations of PlayStation. 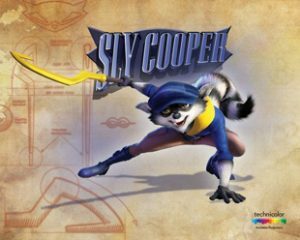 Sly Cooper follows the adventures of the irresistibly charismatic raccoon, a modern-day Robin Hood who restores justice to his city one theft at a time. Sly is aided by his two best friends, a muscular hippo named Murray and a brainy turtle named Bentley. Hot on Sly’s trail is Inspector Carmelita Fox, a morally upright cop with an unfortunate crush on the charming bandit, as well as a band of villains, each one more strange and colorful than the last. The series will mix humor, action, and a remarkable cast of characters.” No word yet on when the series is set to premier or what parts of the world will get to see it first, but we’ll let you know when we do! Cameron Ferweda is a young author who wrote (and published!) his first book for young readers at the age of 10. 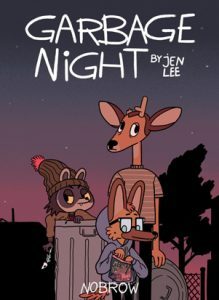 Now in his teen years, he has continued to write The Great Adventures of Rocky Raccoon in three more books (so far), all of them skillfully illustrated by his dad, Michael Ferweda. 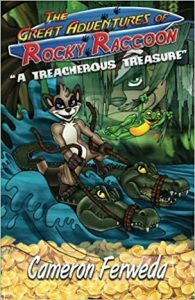 According to the Rocky web site, “The Great Adventures of Rocky Raccoon is a series of spellbinding story tales of the two most unlikely of friends. Rocky and his sidekick, Buff [a frog], run into trouble at every turn of the page. Encountering pirates, monsters, and an evil duo, Rocky and Buff outwit them all. In this [first] tale, The Fight for Fang, Rocky becomes lost in a terrible storm and finds himself face to face with his worst nightmare – Fang!” The stories are also at Amazon. From out of nowhere department, largely! Things are still ramping up for this summer’s release of Guardians of the Galaxy Volume 2. 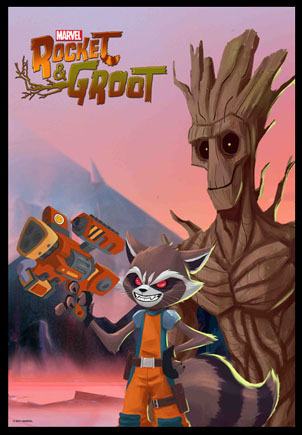 According to our friends over at Animation Scoop, “Marvel and Disney XD announced today a 12-episode series of Rocket & Groot animated shorts. 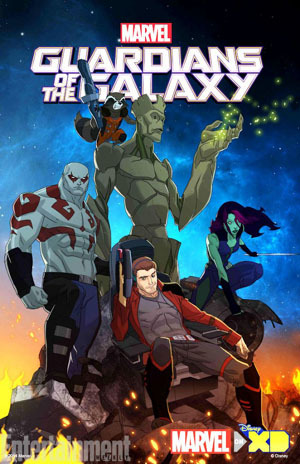 The shorts follow Rocket and Groot (from the Guardians Of The Galaxy) as they try to figure out how to get enough credits to buy a new ship after their old one breaks down. A compilation of all the shorts will premiere on Disney XD at 7:00am ET/PT on April 10th. 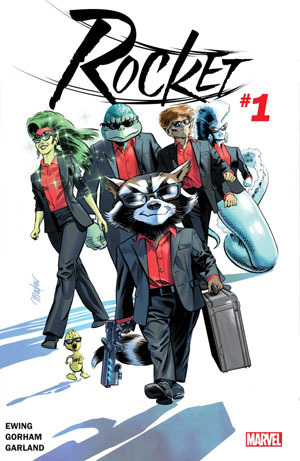 Rocket is voiced by Trevor Devall (Marvel’s Guardians of the Galaxy, Johnny Test) and Groot is voiced by Kevin Michael Richardson (Marvel’s Guardians of the Galaxy, The Cleveland Show). Featuring animation by Oscar-nominated Passion Pictures, the shorts are directed by Arnaud Delord and written by Chris ‘Doc’ Wyatt and Kevin Burke.” The Animation Scoop article has a preview. And speaking as we were of everyone’s favorite ra… we’re not going there, Marvel is laying the groundwork for this summer’s much-anticipated Guardians of the Galaxy Volume 2 with the release of a comic collection with an even longer title: Marvel’s Guardians of the Galaxy Vol. 2 Prelude. “Brace yourself for 2017’s most cosmic movie with an awesome mix of stories new and old, hand-picked to whet the appetite for Marvel’s Guardians of the Galaxy Vol. 2! The comic-book adaptation of the first blockbuster will get you hooked on that Guardians feeling as Star-Lord, Gamora, Drax, Rocket and Groot are thrown together for the first time for a royal rumble with Ronan! Then, new players enter the game in an infinitely entertaining prelude that sets the stage for the ragtag team’s next adventure. Plus: Enjoy a classic pivotal chapter in the life of the enigmatic Mantis -the Marvel Cinematic Universe’s next superstar-in-waiting! And more!” This helpful new compilation brings together the Guardians of the Galaxy movie adaptation, Giant-Size Avengers #4, Guardians of the Galaxy (1990) #1, and Guardians Team-Up. Issue # 1 (of 2) is on the shelves now. Aw, What a Cute Little Raccoon! He’s the furry little member of the Guardians of the Galaxy, known for his foul language, more foul temper, and love of big guns that go BOOM. 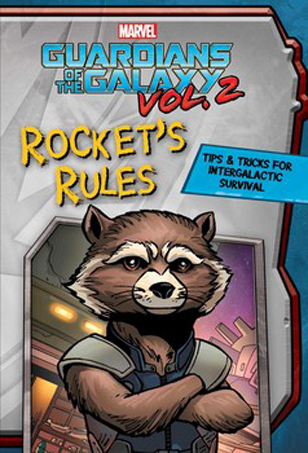 And now, your children can read all about him in a new Little Golden Book called Guardians of the Galaxy: Rocket to the Rescue. 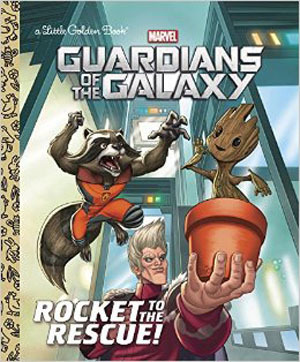 “Star Lord, Groot, Rocket Raccoon, and the other Guardians of the Galaxy race through the universe on another rollicking adventure. Boys and girls ages 2 to 5 will love this action-packed Little Golden Book featuring some of their favorite Marvel superheroes and villains.” We’re sure they will. Written by John Sazaklis and illustrated by Michael Atiyeh and Michael Borkowski, it’s available now over at Barnes & Noble.